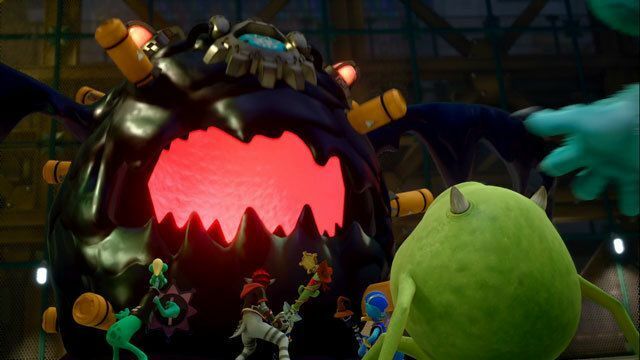 A complete walkthrough of the Monstropolis in Kingdom Hearts 3, including ally characters, obtainable Keyblades, equipment, and abilities and where to find them. You can attack enemies by pressing the R2 button while riding on the rails. When you see the lightning ahead, drop down and hang behind the door to avoid taking damage. You can use the shelters to safely get to the equipment you need to destroy. Be careful of going under shelters that are damaged, since the lasers can easily destroy them. 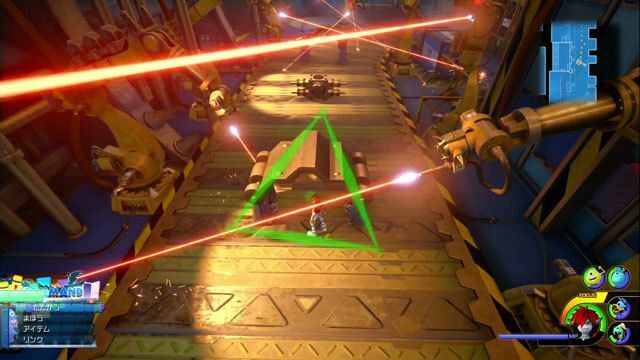 By Formchanging the Favorite Deputy Keyblade into the Boost Hammer, you can easily destroy multiple enemies. Use Scream Strike when the gauge is full to quickly defeat crowds. 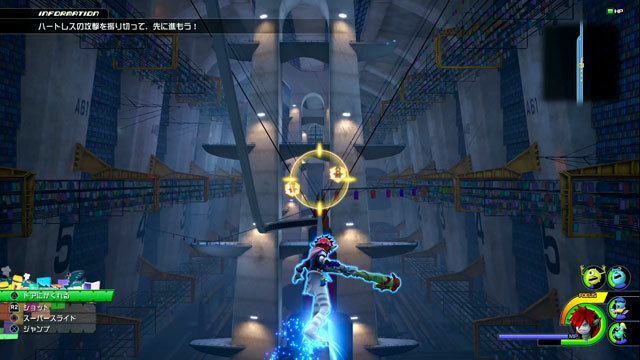 During the first phase, the giant Unversed negates magic attacks when the device on its head is glowing. 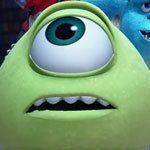 It will also perform three consecutive rushing attacks that ends with a fireball blast from its mouth. Focus on avoiding the boss when it does this instead of going for a counterattack. When it summons multiple “hands” from the ground, focus your attacks on its head. 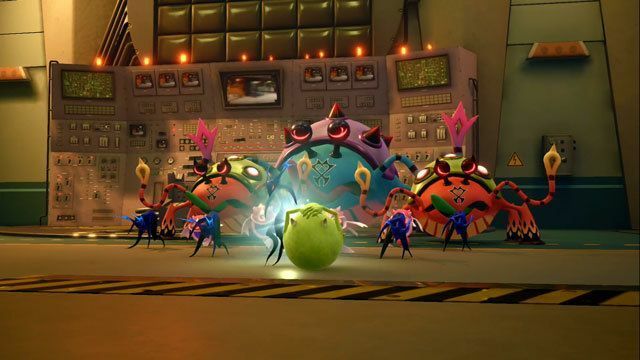 Sora and his friends explore the world of Monsters, Inc. called Monstropolis. 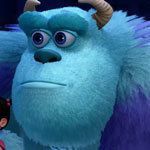 The heroes meet Mike and Sulley, monsters who collect the screams of children to use as energy to keep their city running. 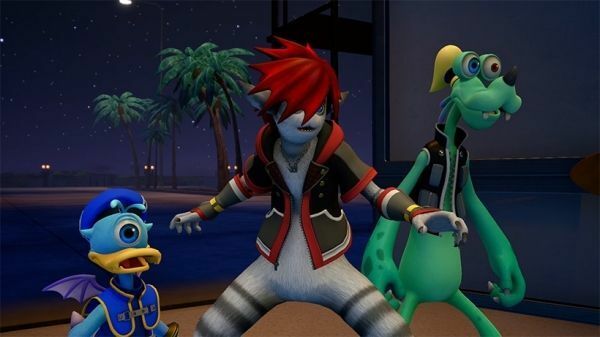 Sora, Donald, and Goofy become involved in the riot going on.